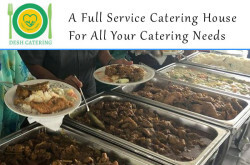 MIR NOOR SQUARE, 103A (3rd floor), House # 43 (new), Road #2/a, Dhanmondi, Dhaka - 1209, Bangladesh. - Engineering Service, Business Consultant, Supply & Distribution Services. Limex Technologies Ltd – End-to-End service for shoe factory and Leather Tannery in Bangladesh. Limex Technolgies Ltd., a 30 years old company, operating in setup Turnkey basis shoe factory and Leather Tannery in Bangladesh. 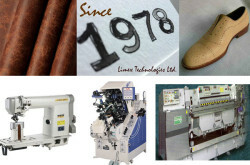 In Footwear and leather goods industry, Limex provides Consultancy Services; supply Shoe Machinery, Parts and Consumables. We are an industry veteran and helped many Bangladeshi shoe factories break into the industry. Some of our clients have evolved into export powerhouses. Few of our clients are Apex footwear, Bengals shoes ltd, Akij Footwear, Vulua Footwear, Leatherex Footwear, Jennys and Fortuna. 2. Brand new and Reconditioned Tannery machines. 4. Vegetable Tanning Chemicals – (Mimosa Extract Company (Pty) Ltd., South Africa. 1. Setup completely new Footwear and Leather Goods factory with end to end support. 2. Brand new and Reconditioned Footwear and Leather Goods machines.